Founded in 2013 in San Francisco, California, SpaceKnow’s mission is to provide transparent access and analysis of satellite imagery to the world. The company has now raised $4 million in Series A financing, led by BlueYard Capital and previously existing investor, Reflex Capital. This investment brings the company’s total funds raised to approximately $5.5 million. Jason Whitmire, Partner at BlueYard, will join the Board of Directors. The funding will be used to further develop the SpaceKnow Artificial Intelligence software for economic monitoring, increase hiring and scale up its worldwide operations and sales forces in the US, Europe and Asia. SpaceKnow is now the leading provider of targeted industrial and geographical intelligence and distributes the China Satellite Manufacturing Index™ and the Africa Night Lights Index to all 350,000 subscribers of a premier financial services company. The company is currently building an indexing artificial intelligence that will scan, understand and describe every square inch of the surface of Earth daily using satellite imagery. SpaceKnow believes this radical initiative will usher in a new era of “accessible transparency” which will increase global prosperity, security and peace. 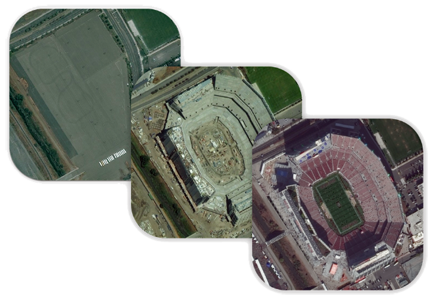 Integral to the current trajectory of growth for SpaceKnow has been its partnership with DigitalGlobe, a trusted provider of highly accurate geospatial data. Shay Har-Noy, VP and General Manager, Platform at DigitalGlobe, stated that SpaceKnow is a key element of DigitalGlobe's GBDX ecosystem, where their products and innovation are helping to make analysis of the planet from high resolution imagery accessible to new markets at a scale like never before. Pavel Machalek, Co-Founder of SpaceKnow, related that his company is hard at work to bring deep learning artificial intelligence-driven transparency obtained from satellite imagery to a wide market and to then build on such success in the finance, defense and construction verticals. Jason Whitmire, Partner at BlueYard, added that his firm believes SpaceKnow is uniquely positioned to sustainably produce highly specific, unbiased knowledge of socio-economic, environmental and defense trends that paint a fuller picture of the performance of one company, an entire industry or even governments and economies. This will allow them to build a large and viable analytics business as well as the opportunity to develop brand new applications that haven’t even been thought of yet. Ondrej Fryc, Founder and Partner at Reflex Capital, stated that the geo-analytics space frontier is far from decided and his firm believes the company that can best tackle highly specialized unique data sets through advanced deep-learning frameworks with proprietary algorithms, and can efficiently process satellite image data from multiple Earth Observation providers, will win and that SpaceKnow is that company.